Sears will close three stores in Minnesota, including one Kmart, as part of a larger shrinking of the once robust retailer known for its Craftsman tools and mail-order catalog. 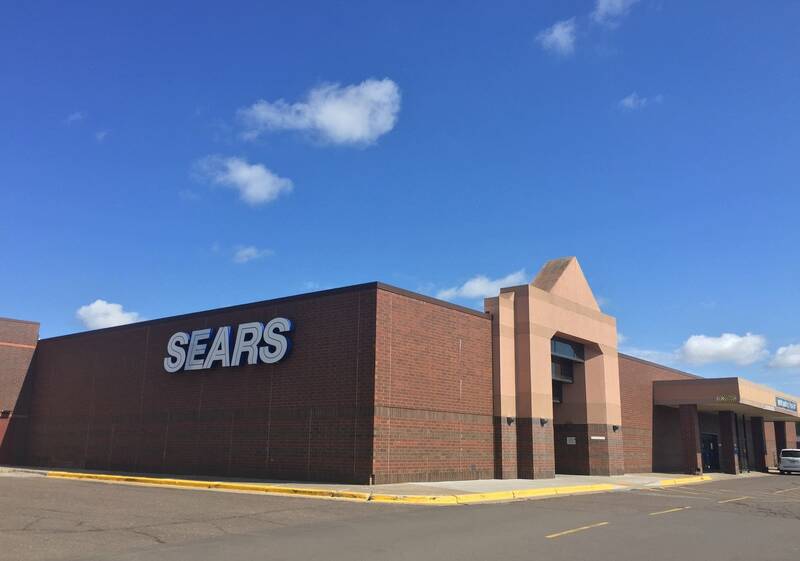 The retailer will shutter its Shingle Creek Crossing store in Brooklyn Center and its Miller Hill Mall location in Duluth, as well as a Kmart store at 215 N. Central Ave. in Duluth in September, according to a list posted on its website Thursday. The beleaguered retailer, which operates Kmart and Sears stores, announced Thursday it was closing 72 stores across the nation, but then amended that number to 63. "A small group of stores was pulled from the closing list of 72 stores on May 31 as they are being evaluated further,'' a notation on the company's site said, adding the list would be updated. It did not say what stores are under evaluation. • Related: Born in Minnesota, is the end finally near for Sears? After this round of closures, the company will have about 800 stores, down from about 1,000 at the end of last year and far below the 2012 peak of 4,000 stores. Employees at 15 Kmart and 48 Sears stores were told their locations would be closing in early September with liquidations beginning as early as June 14, the company said. Eligible associates impacted by the store closures would receive severance and will have the opportunity to apply for open positions at area Kmart or Sears stores. Sears also posted a quarterly loss of $424 million and said store closings already underway contributed to a drop of more than 30 percent in revenue. That marks more than five years of straight quarterly sales drops, according to FactSet. Sales at established stores, a key gauge of a retailer's health, tumbled nearly 12 percent, down 9.5 percent at Kmart stores and 13.4 percent at Sears. Rob Riecker, Sears' chief financial officer, said in a pre-recorded call that the company's stores are "a critical component in our transformation." But to meet customer needs and improve financial results, Sears must close poorly performing stores and "focus on our best stores, including our newer smaller-store formats," he said, according to a transcript of the call. The latest closings underscore the deep-rooted problems at Sears, a one-time powerhouse retailer that survived two world wars and the Great Depression but has been calving off pieces of itself as it burns through money. "The demise of Sears has felt like a prolonged, drip, drip, drip as evidenced by the string of quarterly sales numbers," said Mark Hamrick, Bankrate.com senior economic analyst. "Essentially, it has been injury by a thousand cuts, whether by failing to staff stores to provide customers with good experiences or by failing to stock better quality merchandise in its stores." Chairman and CEO Edward Lampert, who combined Sears and Kmart in 2005 after helping to bring the latter out of bankruptcy, has long pledged to save the retailer, which started in the 1880s as a mail-order catalog business. But the stores have remained an albatross. And Kenmore, the retailer's renowned appliance brand, became the latest potential sale after ESL Investments, the company's largest shareholder, headed by Lampert, said it might be interested in buying it. Sears also has made deals with Amazon. The company announced recently that shoppers could buy any brand of tires on Amazon.com, have them shipped to a Sears Auto Center and then bring in their car to get them installed. Amazon began selling Sears's Kenmore brand of ovens, washers and other appliances last year. For the period that ended May 5, Sears lost $3.93 per share. It earned $245 million, or $2.29 per share, a year earlier, a quarter that included a $492 million gain tied to the sale of the Craftsman brand. The weak financial results stand out amid higher consumer confidence and a solid economy. Other chains like Walmart, Best Buy and even other department stores like Macy's have posted rosier results. Shares of Sears Holdings Corp., based in Hoffman Estates, Illinois, fell 11 percent, or 36 cents, to $2.86 on Thursday.